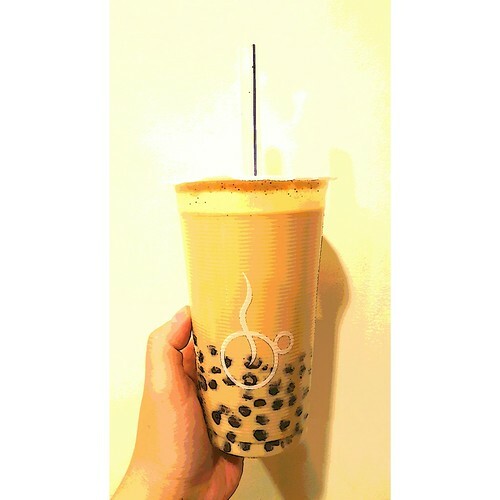 This is a cartoon photo of our azuki (Japanese red bean) bubble tea! It’s delicious. Come and try it!